You have a blog and have started to add affiliate links, promoting products that you love. You receive a commission if someone signs up for them using your links but NO MONEY IS COMING IN. You check every single day and still zilch, nada. You’re putting so much time and effort into the site and seeing little return. Well, the worrying is over. I can tell you exactly what you’re doing wrong based on my experience turning this site, Millennial Boss, into a money-generating asset. There is no hard and fast rule about how much traffic you need to generate clicks on your links. I have found that I need about 500 to 1,000 page views per day to make any money. For some of you, 500 to 1,000 page views per day is going to seem crazy. Don’t worry. You can get there. If you’re not getting nearly that much traffic yet, try building your social following. Pinterest is my social media platform of choice (in terms of boosting traffic to the site). Some bloggers love Twitter and others love Facebook for that reason. My traffic for the past 18 months. Guess when I started using Pinterest. For Pinterest, I recommend following 1,000 people and then letting your followers grow naturally from there. Pin a bunch of content in a variety of categories that people are interested in (not just your niche). I also use the app, Tailwind, to schedule out my pins in advance so I only have to pin once every two weeks. Pinning manually can be really time consuming and Tailwind makes it easy. Sign up for Tailwind using my link and get a $30 credit through the end of May (and a $15 credit after). I pay $10 per month for Tailwind and my return is in the thousands. It also has dashboards, reporting, and a tribes feature that all help in building your traffic. So you’ve been pinning away on Pinterest and still seeing no uptick in traffic back to the site. This is a very common problem and happens to all of us in the beginning. I hate to tell you, but your pins are probably horrible. They’re ugly, dark, and hard to read. Worse, they make no sense. If this is you, spend time researching what images people like to pin. You’ll probably find that people like bright colors, beautiful images, and bold, easy-to-read text (that solves a problem they have). You need to get good at designing pins. Practice, practice practice. My pins were ugly in the beginning too. Try to avoid text that is personalized to you since your pins are showing up randomly in someone’s feed and they have no idea who you are. 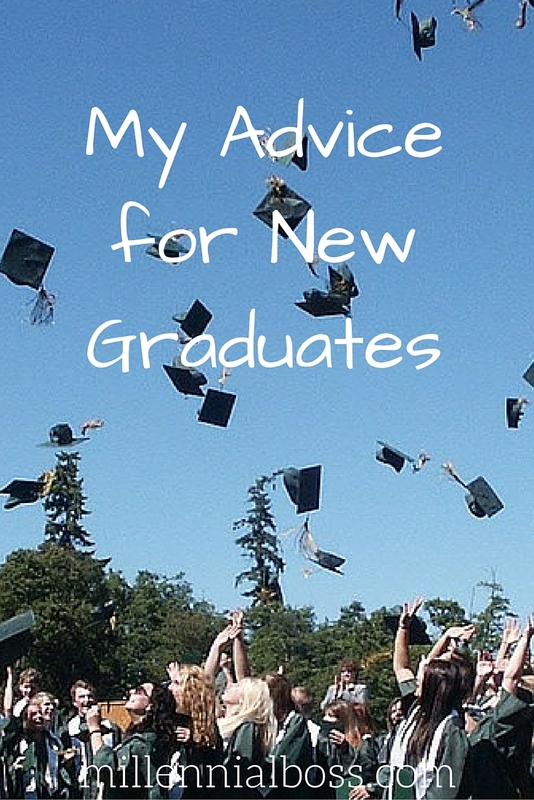 No one wants to click this pin that says “My Advice for New Graduates” because they don’t know me and they certainly don’t care about my advice. This pin is also super-grainy. It doesn’t meet the beautiful bar. Here is another Pinterest fail. Apparently I thought there was a big problem of people worrying they’ll regret a trip to a national park. Good thing my pin was there to ease their worries. Try to solve problems that people actually have and think of why someone would want to save your pin to their board. In this case, I probably should have alluded that the linked post would contain an itinerary for a National Parks Road Trip through Utah. I can see why someone would want to save that pin (if they were searching for that information). There is no incentive for them to save the pin as it is currently. “National Parks Road Trip” is too generic. What national park? I also should have chosen a prettier picture. The more beautiful the picture, the better. Important to note: If you are shooting for the maximum traffic you can possibly get, try to solve problems that more people have. 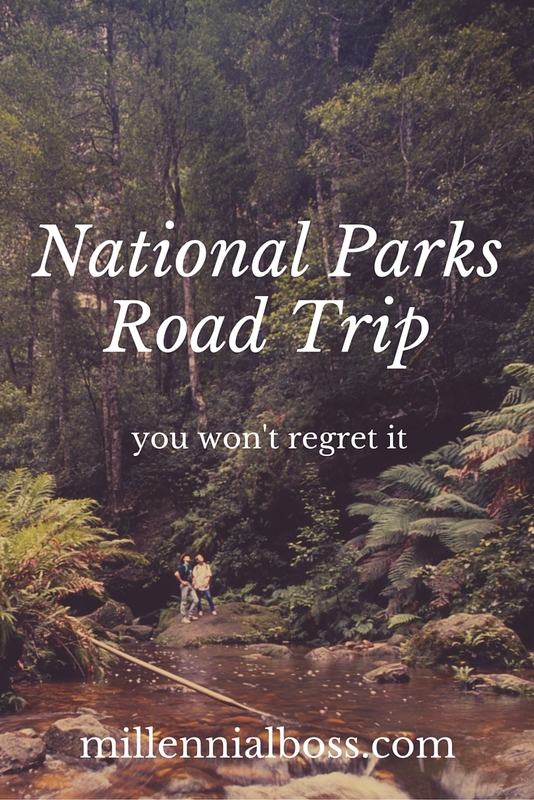 I’m sure there are more people on Pinterest looking for Home Decor ideas or Summer BBQ Recipes than are looking for National Park Road Trip itineraries. Keep that in mind when planning content. Again, there is no reason for people to save this pin. 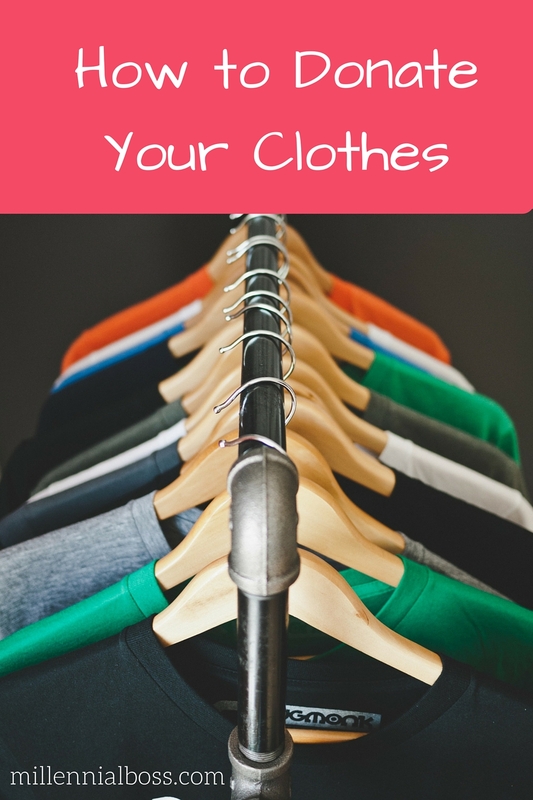 Most people know (or can figure out quickly) how to donate their clothes. This pin is just a buzz-kill. It’s ugly and dark. It definitely puts people in a depressed mood when they read it. 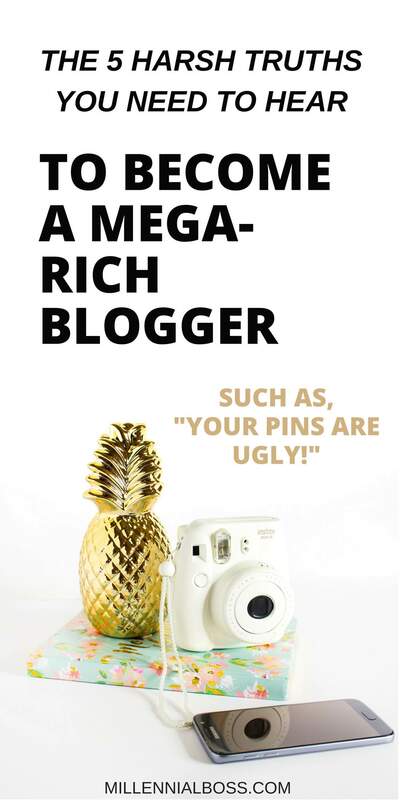 Pinterest users want to see uplifting, bright, pins (not depressing, downer pins). I was getting a little better when I made this pin. Use an overlay to make the text easier to read. Use a mix of plain fonts and scripted fonts. Solve a problem that someone actually has. Unfortunately, my execution was a little off. The stock photo was dark and wayyy too big. You can barely even tell that the image is of a bride. Second, the text is a bit messy and could be easier to read. Here is a current pin. I’m getting better! Here is another current pin. Bright colors, clear text, and a stock photo. It solves a common problem. I’m still trying to improve my pins and get better with every pin. You can find beautiful images for your pins on unsplash, pixabay, and pexels which are all free stock photo sites. Then take those images and overlay text using an online photo editor. At first I used free editors but then I started paying for the premium editors (because my pins looked better using the premium features). They’re also not that expensive. I recommend the photo editor, Picmonkey, because it has a bunch of cool features. It has layering like Photoshop which is super helpful in making good pins. Once you make a “good pin” you can use it as a template and just change out the words and picture when you write new posts. 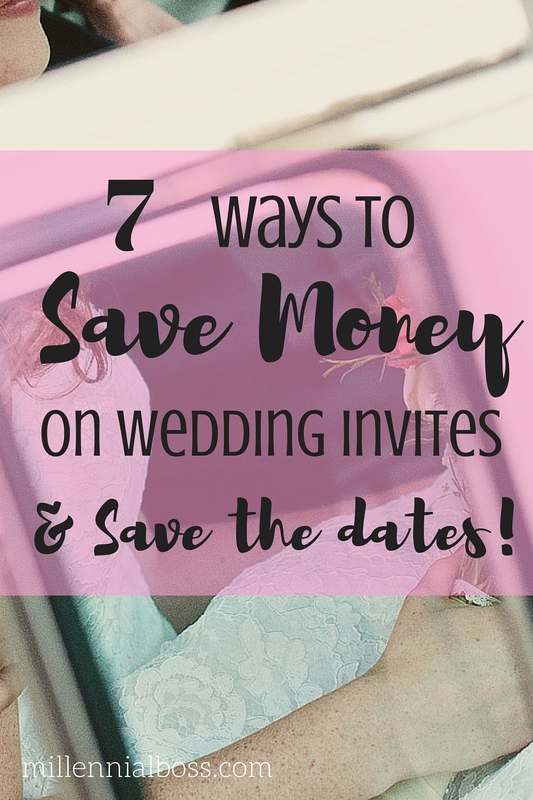 Click here to sign up for Picmonkey. I also use Ivorymix stock photos and SC Stockshop stock photos in my pins. It may be worth buying photos from them versus using free photos (because of the quality). Click here to check out Ivorymix. Click here to check out SC Stockshop. Lately I’ve been reading posts over on the Chasing Foxes Blog about creating popular, actionable pins. They suggest you ask “What’s In It For Me?” when writing pin text to ensure that you’re solving a common problem and making someone curious enough to click. I’ve started writing my pins with that in mind and have seen a return. So many of us focus on writing the post and rush through making the images at the end. They are so important and key to increasing traffic. Here is another harsh truth of the blogging world. You may not be making money on your blog because you’re offering people solutions (products) that they don’t actually want. You’re offering what you would want and not what they would want. 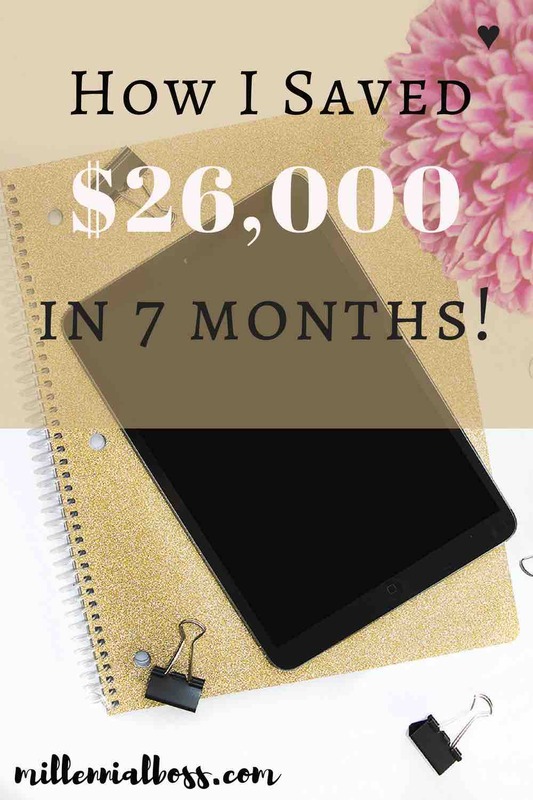 This “How I Saved $26,000 in 7 Months” pin used to link to a post that described my saving strategy in painstaking detail. In that post, I talked about 401(k)’s and Roth IRAs and how to open a brokerage account to save money. The pin ended up going viral on Pinterest and the post got thousands of views in a short amount of time. What do you think happened though, when Pinterest users clicked through from that pin to my very-detailed blog post? They were BORED OUT OF THEIR MINDS and clicked off the page immediately. Maybe my small niche of personal finance readers were interested in the details of my Vanguard IRA but the average person coming from Pinterest could care less. They also weren’t interested in the products I was promoting. I had been promoting Betterment, which is a robo-advisor with low fees that I used to invest a small amount of after-tax money each month. 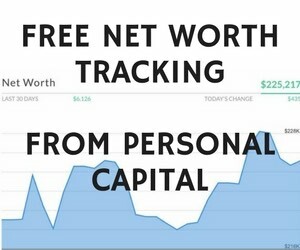 I also promoted Personal Capital which is a free app that I use to track my net worth over time. I was way off the mark with these products! 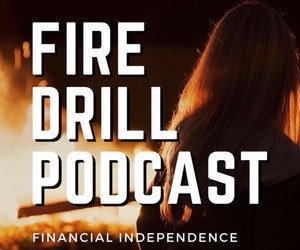 The average person coming from Pinterest wants to hear how they can save an extra $100 or so each month, not how they can invest in a brokerage account that saves them a certain percentage in interest over time. For that reason, I switched to promoting products that people actually wanted and not what I wanted them to want. My cousin in college and my Aunt in her fifties were independently telling me about how they take surveys online to get gift cards to places like Victoria Secret and Target. The little bit of extra money from the gift cards helps them save when they buy things they were going to buy anyways like bathing suits or toiletries. They also have fun taking the surveys and generally like doing them. 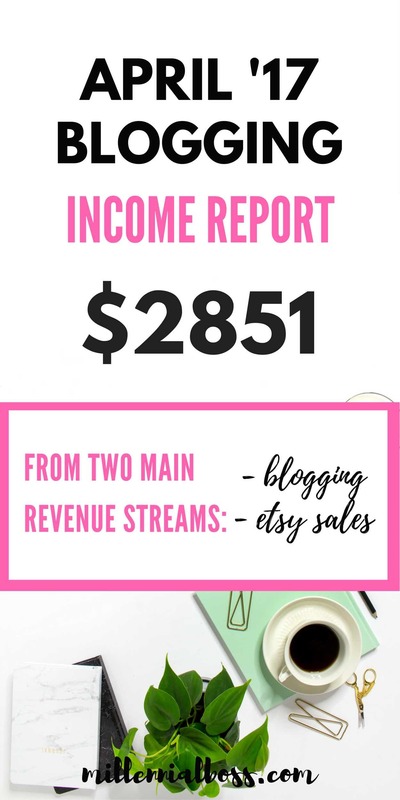 I started noticing other bloggers on Pinterest promoting survey companies and saw from their income reports that they were making money on them. I switched to promoting survey companies such as Swagbucks and Inbox Dollars instead of complicated financial products. Guess what. I made money immediately because I gave my audience what they wanted. Money-making bloggers see their sites as assets and cater to their audience, not themselves. This blog is not my diary. I write for an audience and I’m very aware of that. 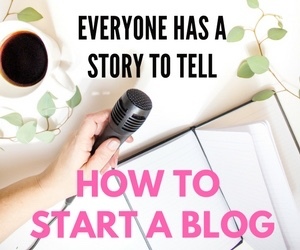 If you want to make money blogging, you learn your audience and give them what they want. If you take this approach, you never have to “sell” or “convince” anyone. Your best friend and your mom love your blog. Other bloggers love your blog and leave comments. You’re still not making money on your blog though and have no idea why. This would be a good time to ask for feedback (from people who are successful at making money blogging). I signed up for Michelle Schroeder-Gardner’s Making Sense of Affiliate Marketing course, which was the best decision I could have made for this blog. Once you’re in the course, you have access to a private Facebook group, which is full of helpful and successful affiliate marketing bloggers. Thursday is feedback day in the Facebook group and we can post what we are working on in the thread and ask for feedback from other bloggers. 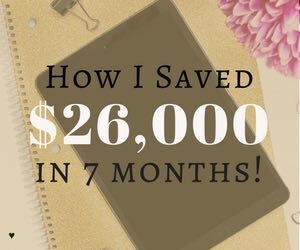 It was actually in one of those Feedback Thursday threads that another blogger first told me my “How I Saved $26,000 in 7 Months” post was boring. She didn’t directly say that it was boring but she hinted that it was too long and not right for the audience. I deleted the content that I had (well moved it to another post) and rewrote the post for the Pinterest audience that was coming to the post. I found different products that this audience wanted and BOOM. It worked. I started seeing sales right away. The next Thursday, I posted the same post again and asked for more feedback. The same blogger (she’s the best) actually told me that my links were hard to see and people may not be noticing them. I had been using gold links because I thought it looked really pretty with my theme. I’m embarrassed to admit that when she first gave me that feedback, I didn’t change my links. I was stubborn and really liked the gold links. I also thought that it was impossible that people couldn’t see the links. They were right there! One month later, I re-posted that post to the Thursday feedback thread and asked for more feedback. She gave the same feedback about the links. I finally implemented her advice (I made the links hot pink instead) and my income tripled. Sign up here for Making Sense of Affiliate Marketing course to get access to the insanely valuable course content and private Facebook group. See you in there! I read other bloggers’ income reports and try to assess what is working for them. Some bloggers have more detailed income reports than others. The more details they include in the report, the better. That way I can see what is working for them and try to bring that knowledge to my site. Now, I’m not talking about “copying” in the traditional sense. I mean researching what is working and bringing that knowledge to your site. I was doing pretty well making money from promoting the survey company, Swagbucks, but I wanted to find other bloggers that were even more successful promoting Swagbucks. I googled for “blogging income reports swagbucks” and found another blogger with similar traffic to me that was making more money from promoting Swagbucks than I was. I found the posts where she was promoting Swagbucks and noticed a few things. She gave a longer and more detailed description of the experience using Swagbucks than I did. She positioned it as her favorite survey company compared to the others she listed in the post. She both linked to Swagbucks in the description paragraph and in a separate line by itself. The “here” in that “sign up here” separate line was also included as part of the link. 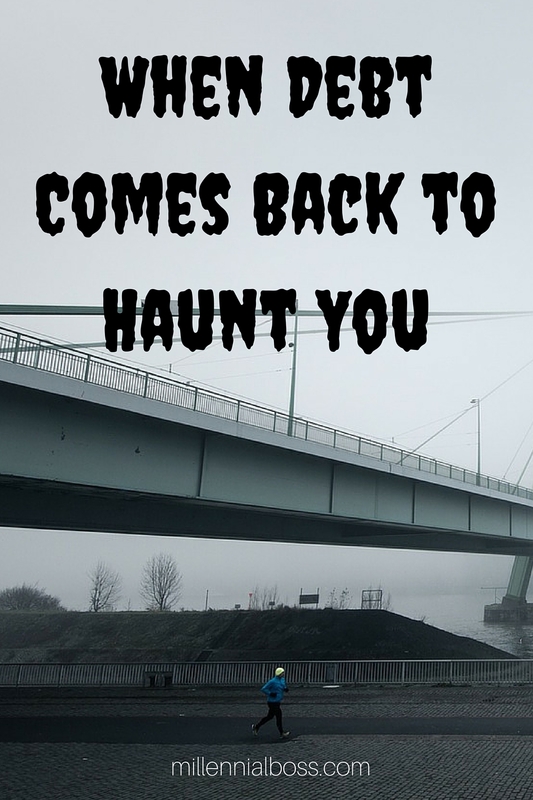 It totally worked and my click rate and conversions shot up! Overall, my blog has grown exponentially in both readership and income because I fixed these 5 common problems. Not everyone wants to make money blogging. If you write a personal blog and have no interest in making money, that is cool too. If you do want to make money, consider addressing these 5 common problems. If you want personalized advice from me, sign up for my email list below or check out my blog coaching offerings. Also, follow me on Pinterest to see what I’m pinning. Create multiple versions of the pin in case one style is more popular than others. You don’t have to upload them all to the post and can instead upload them directly to Pinterest with the URL. I’ve included the versions of the pin I made for this post for reference. What other tips do you have to make money blogging? You’re welcome! Glad it could be of help to you. So glad you’re enjoying it! The community is great. You’ll get more visits in no time! This was the best post about blogging I have ever read – harsh but truthful it helped me a lot! Thank you ! Great post! Our site is primarily a personal blog, but I appreciate the tips on utilizing Pinterest to attract more readers. Will definitely implement some of the strategies soon! This is so incredibly helpful- thank you for all these tips! Hey girl! 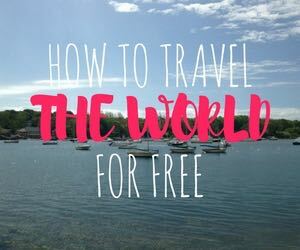 I love, love love this post and I’m so glad I stumbled upon this via Pinterest! Thanks for the delightful and detailed read. I’ll have to start asking what’s in it for me as I create Pinterest titles…and as I write content in the future! Thanks for the praise for this post! Glad it helped. Very helpful! I gave up on Pinterest pretty quick because the images were becoming painful to create. Once you get a good template going it gets much easier. Hang in there! Great post, some really helpful and thorough tips! Scheduling really makes your life easier. The link colors is an interesting one, right? It has totally paid off for me. Coincidence in timing for this post. Earlier this week, I took a look at my pins to see if I needed to improve any. I couldn’t make my mind up, so to narrow it down, I asked myself which pins I’d repin if I saw them in my feed. The answer was none of them! I really don’t enjoy creating the images but do want more readers to find my site. I’ve re-done a couple. I feel like I still need to practice a lot but they are certainly better than they were. Really great post, thankyou! Thanks – glad the post was helpful. I actually just redid a pin yesterday that went viral today. So nice to see it happen so quickly. Thank for the detailed information, especially about gaining following on Pinterest for beginners and the characteristics of a good pin.